Language alert: if watching the video with children, be prepared to hit the mute button at :33-:38 and 4:15-4:20. Also, apologies (and gratitude) to William Carlos Williams. What a great time to share this, Mary Lee. 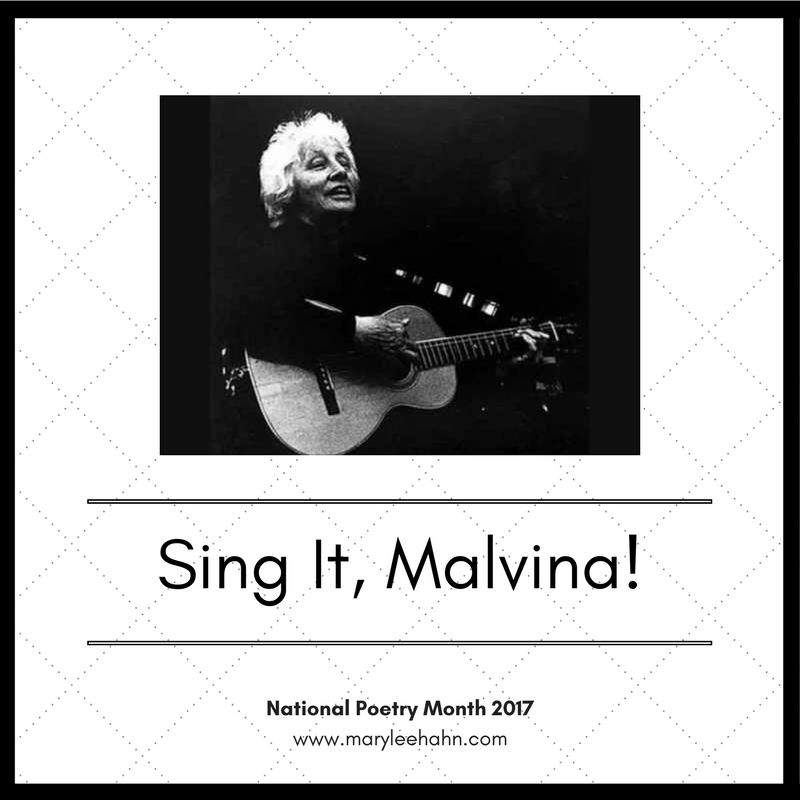 Thank you for introducing me to Malvina--When this becomes a book, it needs her music to accompany it. Put my name on your list for people who want an autographed copy. Maybe you should contact someone affiliated with Malvina's estate? I can totally see a book forthcoming. I want a copy. This gives me pause. Thank you for highlighting this great woman this month.